Sony’s latest system update for the PlayStation 4 adds support for Remote Play on iPhone and iPad. Remote Play — which lets players use a mobile device to control their PS4 console — has been a long time coming for iOS users. The feature first came to Android four-and-a-half years ago via Sony’s Xperia Z3 and has since come to PC and Mac as well. Now, thanks to firmware update 6.50, PlayStation 4 owners can play games using their iPhone or iPad as a controller by downloading the PS4 Remote Play app on iOS. It’s worth noting that a few of us at MobileSyrup haven’t been able to find the app on the App Store on our iPhones. Instead, I was able to download it via this link on the web on my phone, which then directed me to the appropriate page on the App Store. 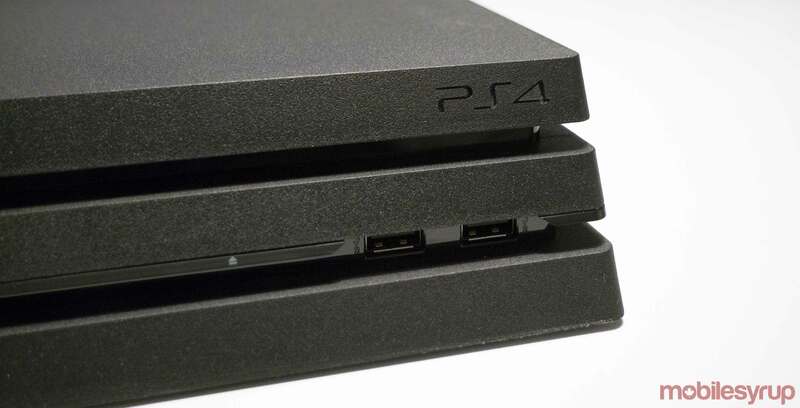 Once the app has been downloaded and paired to your console, your phone’s screen will be given an overlay with a PS4 controller’s standard buttons, like the D-Pad and triangle/square/cross/circle. You can then navigate your PS4 and play games just as you would with a traditional controller. As noted by reddit users, iOS Remote Play support is the only main feature to be added in update 6.50. However, the update also lets you remap the cross and circle buttons depending on which one you prefer to use as the ‘enter’ command. While this might seem like a random change, it appears to have been made due to the differences between English and Japanese control schemes. Traditionally, Western games have cross as the enter command at default, while Japanese games historically have used circle — a setting that has even carried over to English versions of Japanese games, most notably Final Fantasy VII on the original PlayStation.